Taron 17-28mm f/2.8 Di III RXD Lens for Sony full frame mirrorless cameras is coming nearer and nearer. It is now on sale in European stores for 804.99 Euro, just the same price as the Tamron 28-75mm F2.8. 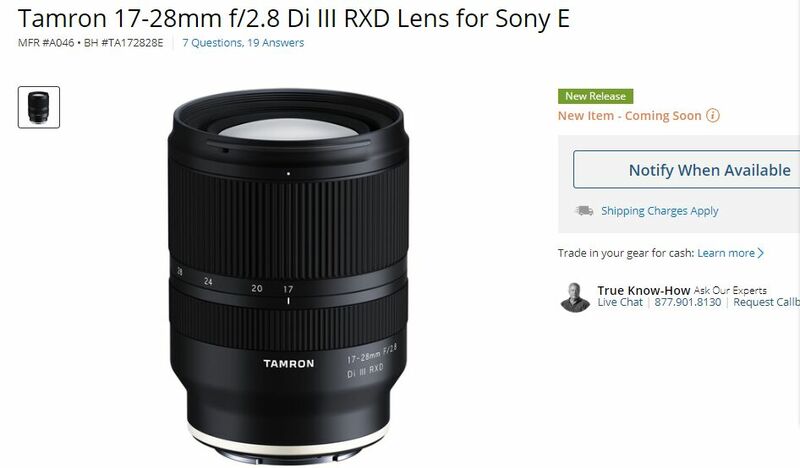 Tamron 17-28mm f/2.8 Di III RXD Lens is now already listed at B&H, but the US price is not released.